For many homeowners, any outside issues get pushed to the bottom of the to-do list — out of sight, out of mind. 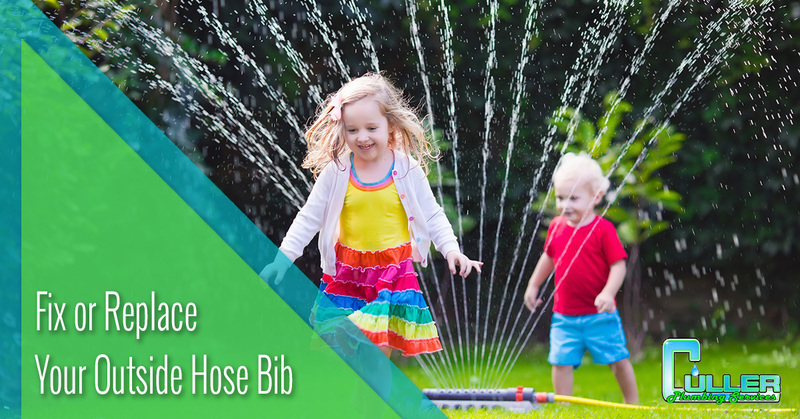 Outside hose bibs are at particular risk for this mentality because they are not used as frequently as other home plumbing features and there is always a work-around — albeit less convenient, but just as efficient. However, while a broken or leaking outside hose bibb may be future-you’s problem, it may become a bigger problem before you get around to fixing it, which is silly because fixing it is a simple do-it-yourself activity. Fix your outdoor faucet yourself in these 11 easy steps. If your faucet is leaking around the valve stem only when the water is turned on, simply remove the handle and tighten the packing nut ⅛ to ¼ turn. Reattach the handle and turn on the water to check for leaks. If the faucet still leaks after tightening it, the handle has broken off, or there are any other issues with the hose bib, follow these steps to replace the valve stem. Step 1: Stop the water flow. Whether you are going to complete all 11 steps now or you simply want to stop the leak now, until you can fix the root cause, the first step is to cut the water flow. This helps prevent the waste of hundreds of gallons from a slow leak or thousands of gallons of water and potential water damage to your home from a large leak. You can cut the water source at the meter using a cut-off key, or for minor repairs, you can use the shutoff valve on the inside portion of the pipe. Step 2: Remove the packing nut. The packing nut is housed directly beneath the handle of the faucet. Remove the nut to allow the faucet to detach from your house. Step 3: Remove the valve stem. Use the faucet handle to to pull the valve stem out of the hose bib. Do not use excessive force, the stem should wiggle free from the bib easily. Step 4: Replace broken parts. Now that the stem and faucet are detached, you can replace whatever part is broken or causing the leak. If the washer is loose, simply remove the screw that holds the washer on and replace with a washer of the same size and thickness. If it is the handle, simply remove the handle and screw on the new one. Or, you can purchase a fully assembled new system, ready for installation. Once your assembly is repaired, you can continue. Step 5: Re-install the valve stem. Simply push the valve stem back into the hose bib housing. Again, do not force or jam the stem back into the hose bib, it should gently slide into place. Step 6: Tighten the packing nut. Reinsert the packing nut you removed earlier and tighten it in place to hold the unit in place. Step 7: Turn on water. Turn the water on at the source, whether you used the shutoff valve or turned the water off at the meter. Then, turn the spigot on. It may sputter initially, as air is cleared from the line, that’s normal. Step 8: Inspect your work. One of the most important steps is the post-repair inspection. Check for leaks around the faucet, both inside and outside. This time, just turn the water off by the handle, the way you would between normal use. Inspect your handy work again to ensure that no water is leaking or escaping when it is turned off. Again, check both inside and outside. If there are no leaks, congratulations, you have fixed it! You can be proud of a job well done and carry on with your yard chores! Step 11: Call a plumber. If your inspection reveals anything other than a perfectly working outside faucet, free of leaks, it is time to call a local plumber. Cut the water source to prevent wasting water and water damage to your home and contact the plumbing professionals at Culler Plumbing. 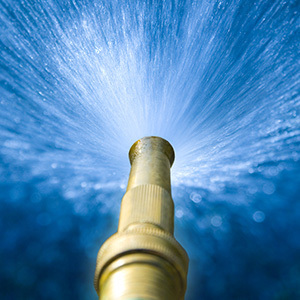 At Culler Plumbing, our expert technicians are able to install, repair, or replace standard or frost-proof outside hose bibs, faucets, and pumps. Whatever your plumbing issue is, our plumbers can handle it! Contact us for your free estimate today.